Coronary heart disease (CHD) is also known as ischemic heart disease (IHD) or coronary artery disease (CAD). CHD is caused by the build-up of plaque inside the coronary arteries. Healthy arteries have smoother inner walls and blood flows though these arteries easily. Plaque that accumulates on the inner walls of one’s arteries is made from various substances that circulate in the blood such as calcium, fat, cholesterol, cellular waste and fibrin. Arterial plaque can reduce blood flow or, in some cases, block it altogether. As a result, blood flow to the heart is obviously slowed or stopped, which also reduces or stops oxygen from reaching the heart muscle. The most common symptoms of coronary heart disease include chest pain and discomfort (angina) and shortness of breath. 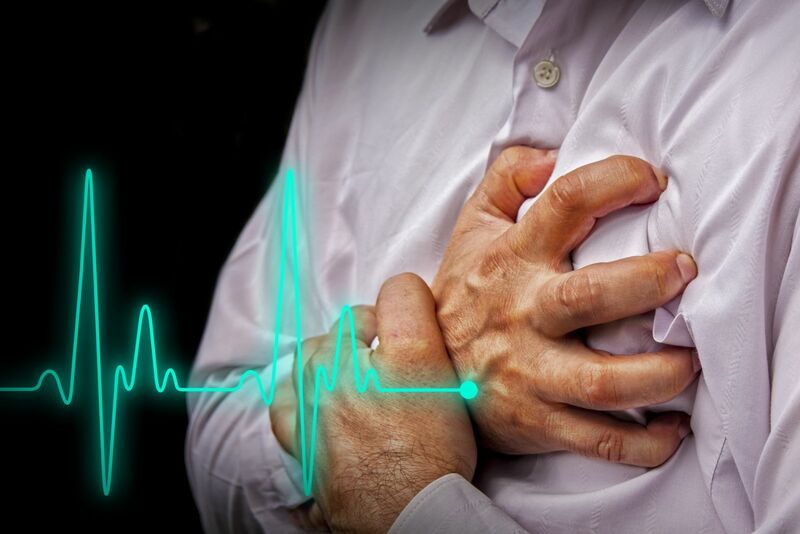 Coronary heart disease may also cause a heart attack, also called a myocardial infarction. Depending upon the extent and severity of their symptoms, patients with coronary heart disease may not be able to work, and may therefore be eligible for long term disability benefits. However, in the case of coronary artery heart disease, a myocardial infarction (also called an MI or heart attack), a coronary bypass, stenting, etc., does not guarantee approval of the LTD claim. LTD insurance companies do not evaluate claims based on the particular impairments in question. Rather, they base each decision on the impact a particular impairment has on the individual claimant’s ability to work and perform daily living activities. Assuming you have long term disability (LTD) coverage through your employer, you may qualify for disability benefits for coronary artery disease by demonstrating that your heart condition has so reduced your functional capacity (your ability to exert yourself or otherwise perform work activity) that you are unable to hold a job. The long term disability insurance company will evaluate your coronary heart disease based on the current objective medical evidence in your medical record and any other evidence they may have in your claim file. The insurance company may also order a “consultative examination” to help them evaluate the extent of your impairment. silent ischemia: SE is the occurrence of myocardial ischemia or myocardial infarction without pain or other related symptoms. In addition to the symptoms described above, the long term disability insurance adjuster handling your claim will be interested in other medical evidence that demonstrates the extent and severity of your CHD, including an abnormal stress test, ischemia / ischemic episodes, or abnormal imaging. This type of evidence is more fully described below. The long term disability insurance adjuster handling your claim will be looking for a “longitudinal” clinical record of your coronary heart disease, such as 3 months of continuous treatment. The basic documentation you should supply to the LTD insurance company includes detailed reports of your medical history, physical examinations, laboratory tests, medically acceptable imaging (such as a stress echocardiography or an angiography), and any treatment that has been prescribed to you. You may also include evidence of your response to such treatment. Example: Ischemic episodes may require revascularization, which refers to angioplasty or bypass surgery. So you may provide evidence from such procedures to the insurance company to support your claim. Your longitudinal medical record should include electrocardiograph or electrocardiogram (ECG) results, which are also referred to as stress tests. An electrocardiograph may be performed while the patient is exercising or at rest. An EKG records electrical impulses of your heart onto a strip of paper known as an electrocardiogram or tracing. An ECG may disclose important information such as the fact that your heart muscle is not receiving enough oxygen, resulting in ischemia. You should also include the results of any exercise tolerance tests performed. Exercise tests are the primary method of testing used for determining the presence of myocardial ischemia, and for providing an estimate of your aerobic capacity. Already done: In addition to submitting the angiographic evidence and other objective medical evidence, you should be able to prove that your coronary heart disease seriously limits your ability to engage in daily activities. If you have been undergoing regular medical treatment, be sure to tell your doctor about all of the symptoms you experience due to coronary heart disease. For example, you should mention any chest pain or discomfort, where the pain is located, and whether it interferes with your ability to concentrate or complete tasks. As another example, if you have difficulty walking certain distances without shortness of breath or fatigue, be sure that fact is noted in your medical records. If you are taking medication for coronary heart disease, tell your cardiologist about any and all side-effects you may experience, such as fatigue/lethargy, headaches, dizziness, nausea and vomiting, depression, mental fogginess, memory loss, or blurred vision. In a coronary heart disease claim, the adjuster assigned to your claim must consider whether your heart impairment has reduced your capacity to work. The claims handler will consider all of the relevant medical evidence in your case file to determine what is called your residual functional capacity (RFC). For example, if your doctor states – in a written letter or on an assessment form – that you cannot lift more than 10 pounds due to shortness of breath and that you should walk or stand no more than 2 hours of an 8-hour workday due to fatigue, you have an RFC for no more than sedentary work. The claims handler will ultimately consider your RFC to decide if there are jobs that you can perform. Click here to learn more about qualifying for disability through your RFC. Sometimes long term disability insurance companies just make bad, unfair decisions. If you have a long term disability claim due to coronary heart disease and your claim has been denied, contact our office today to schedule an appointment to discuss your rights. We can be reached at 850-308-7833. For more information on cardiovascular conditions, see our section on disability and heart problems.